Stella & Chewy's believe dogs deserve to thrive on real, raw food - the way nature intended. Because the closer foods stay to their natural state, the better they are. That's why they use raw, wild-caught fish, with no added hormones nor antibiotics, all sourced from USDA-inspected facilities. All Stella & Chewy's products are made without grains, gluten, fillers, artificial preservatives or colors. Stella & Chewy's believe dogs deserve to thrive on real, raw food - the way nature intended. Because the closer foods stay to their natural state, the better they are. That's why they use raw, grass-fed beef, with no added hormones nor antibiotics, all sourced from USDA-inspected facilities. All Stella & Chewy's products are made without grains, gluten, fillers, artificial preservatives or colors. Stella & Chewy's believe dogs deserve to thrive on real, raw food - the way nature intended. Because the closer foods stay to their natural state, the better they are. That's why they use raw, cage-free turkey, with no added hormones nor antibiotics, all sourced from USDA-inspected facilities. All Stella & Chewy's products are made without grains, gluten, fillers, artificial preservatives or colors. Stella & Chewy's believe dogs deserve to thrive on real, raw food - the way nature intended. Because the closer foods stay to their natural state, the better they are. That's why they use raw, cage-free duck, with no added hormones nor antibiotics, all sourced from USDA-inspected facilities. All Stella & Chewy's products are made without grains, gluten, fillers, artificial preservatives or colors. Stella & Chewy's believe dogs deserve to thrive on real, raw food - the way nature intended. Because the closer foods stay to their natural state, the better they are. That's why they use raw, cage-free chicken, with no added hormones nor antibiotics, all sourced from USDA-inspected facilities. All Stella & Chewy's products are made without grains, gluten, fillers, artificial preservatives or colors. Wellness Pure Rewards Grain-Free Turkey Jerky Dog Treat 6oz. 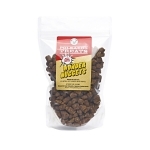 All-Natural Delicious Jerky Bits for Dogs. Pure Rewards® are the simplest way to treat your pet to highly flavorful, protein-packed jerky bits. Wellness Pure Rewards Grain-Free Beef Jerky Dog Treat 6oz. Wellness Pure Rewards Grain-Free Venison Jerky Dog Treat 6oz. Feeling lucky? Feeling ducky? Then, tear open a pouch of these all natural, limited ingredient dehydrated marvels to see just how lucky and ducky you can get. This grain-free offering from the Polkadog kitchen is packed with USA duck and dehydrated on site at Polkadog Bakery in Boston, MA. Polkadog Bakery’s fresh catch of the day! Farm-raised tilapia is blended with easily digestible long grain rice and slowly dehydrated in our South Boston ovens to keep all the goodness right where it belongs. 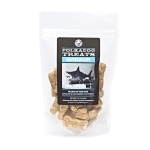 Packed with beneficial Omega fatty acids, polkadog Go Fish! 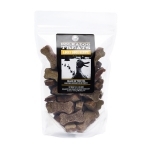 treats are perfect for picky canines that like the lighter side of meaty, or those with sensitivities to chicken and other proteins. At Polkadog Bakery, we're all about locally-sourced, made-in-the-usa, limited ingredient natural dog treats. Our super duper Cod Skins are no exception. The Cod we use to make these crunchy sticks is caught in season by local fishermen on small boats from Maine to Cape Cod to Alaska. We hand-roll and slowly dehydrate each skin in our South Boston kitchen to create this savory, healthy treat. Slowly dehydrated to a lip smacking crunch, these itty bitty bones are packed with a MEATY punch. 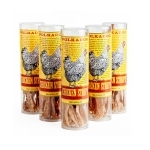 Chock full of natural USA chicken, these tiny tidbits are great for training or for those in need of a little extra something to satisfy their yardbird cravings. 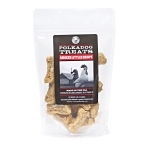 All treats are made with USDA approved ingredients and are dehydrated on site at Polkadog Bakery in Boston, MA. Green Bean Chips get the tails waggin' as soon as the bag is opened. These crispy colorful Green Beans make for a crunchy snack your dog is sure to love. Try pairing this great treat with delicious Carrot Chips for a smart snacking duo that will satisfy your pet every time! Our new grain free crunchers set the tails waggin' as soon as the bag is opened. Our unique flavor profiles, coupled with the finest all-natural ingredients help ensure your pet is getting a quality treat every time. All of our crunchers treats are baked to perfection then packed to preserve the freshness. With the introduction of this superior grain free line we complete a beautiful circle of fine treats- all designed with a single goal in mind..... To satisfy the needs of your pets. Enjoy. 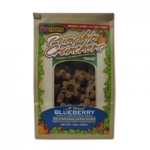 K9 Granola Factory Pumpkin Crunchers Blueberry Formula dog treats are made in the USA and contain pumpkin which is high in cartenoids and other nutrients. 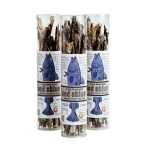 The added blueberries gives these treat an enticing taste that will leave your dog wanting more!